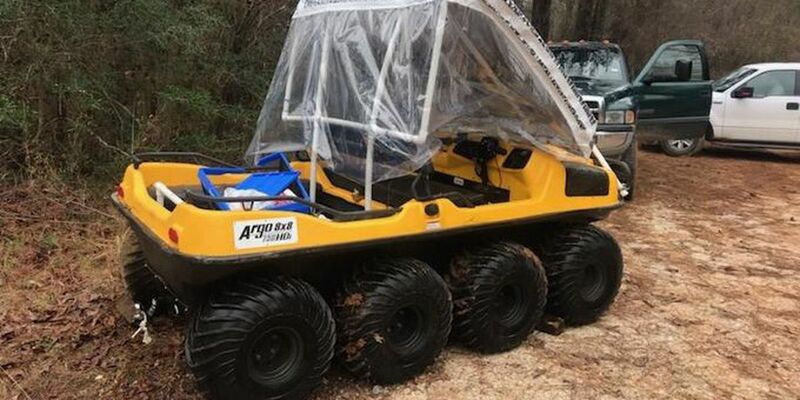 JASPER COUNTY, TX (KTRE) - A man drowned in the Neches River, and the woman who had been with him survived because she clung to their overturned amphibious all-terrain vehicle for two days, according to the Texas Parks and Wildlife Department. Justin Eddins, the game warden for Jasper County, said the two people got stranded at a campsite in the Buna area when the Neches River flooded. He declined to release the names and ages of the man and the woman. Eddins said after the man and women took the amphibious ATV into the river Wednesday, it flipped onto its side. The game warden said the ATV wound up in the river’s swift currents. The woman managed to hold onto the ATV for two days until a passing fisherman spotted her, Eddins said. He added that she was taken to an East Texas hospital after she was rescued by Evadale VFD firefighters and JCSO deputies. Game wardens, Jasper County Sheriff’s Office deputies, and Evadale volunteer firefighters assisted in recovering the man’s body, Eddins said. Pct. 3 Justice Mike Smith pronounced the man dead at the scene.